Meetings with LWF, WCC, WA for Ref Churches. The Rev. 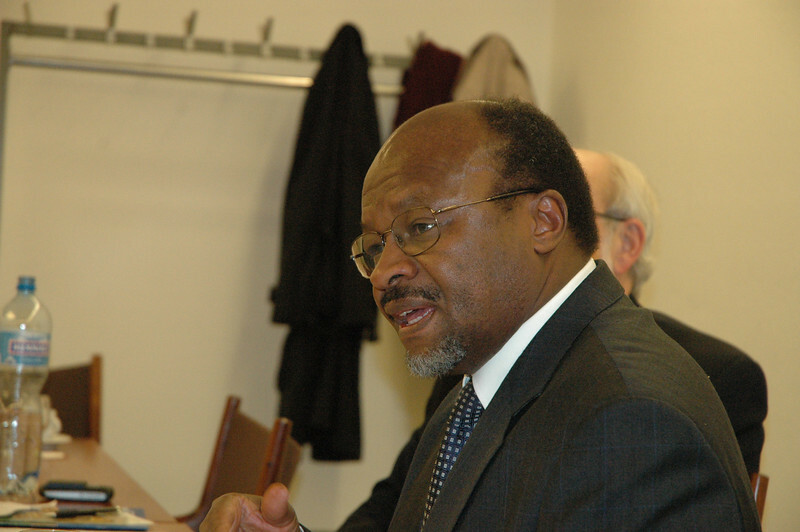 Ishamel Noko, LWF general secretary, answers a qustion for the ELCA delegation Feb. 15 in Geneva.